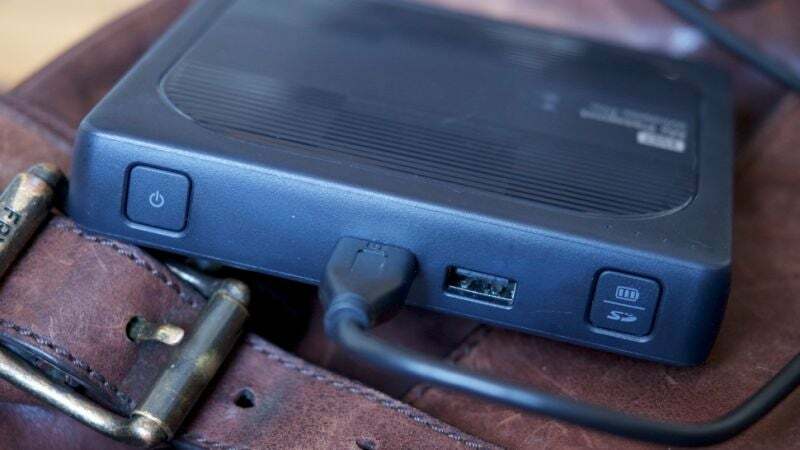 Power bricks with enough juice to recharge a laptop aren’t particularly light to carry around or cheap to buy, but they’re worth the extra investment and wear on your shoulders. The Mophie Powerstation USB-C XXL (£150) works with newer USB-C laptops and gives you dual charging ports and 19,500mAh capacity, while the cheaper Anker PowerCore+ 20100 (£47) is also USB-C-compatible and has 20,100mAh of juice. After you’ve determined the watt requirement its time to select a battery. Naturally they rarely list their output in watts, but they do list them in volts and amps. Simply multiply the two and you have your number. So 12 volt/4 amp batteries like the two mentioned above put out 48w. If your laptop needs more juice than this 50,000mAh Maxoak battery (£110) might be better. It’s a 20V/3A battery, which means it can handle the 60 watt requirement of a power-hungry laptop. 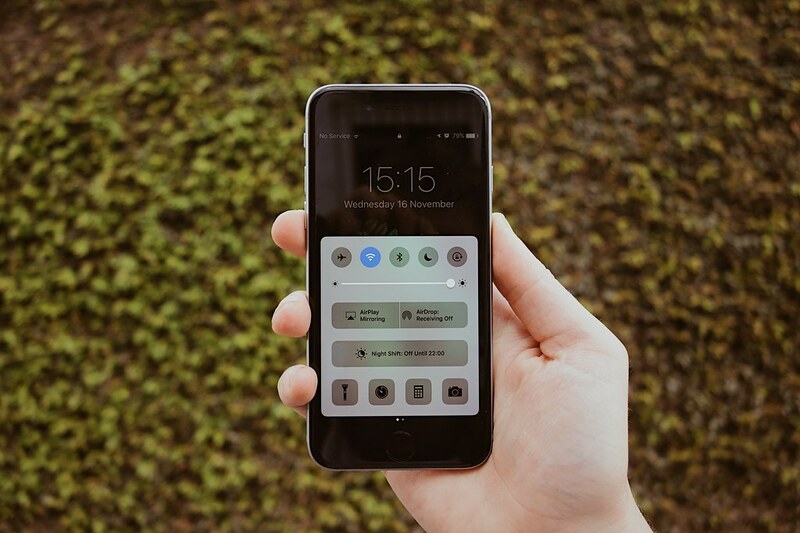 The first port of call for getting online on the go should be your smartphone—provided you’ve got a plan that allows tethering and that won’t cost you an astronomical rate to get connected. Check your current plan for details. Public wi-fi in coffee shops and hotels is always an option too, albeit a rather unsafe one. However in terms of gear you can pack in a bag, look for a dedicated mobile hotspot device. These gadgets work just like tethered phones but because they’re specifically built for the job, they should be more robust and easier to work with (and you save on your smartphone battery at the same time of course). The ZTE MF65 (£25), for example, can provide a mobile hotspot for up to 10 devices to connect to. 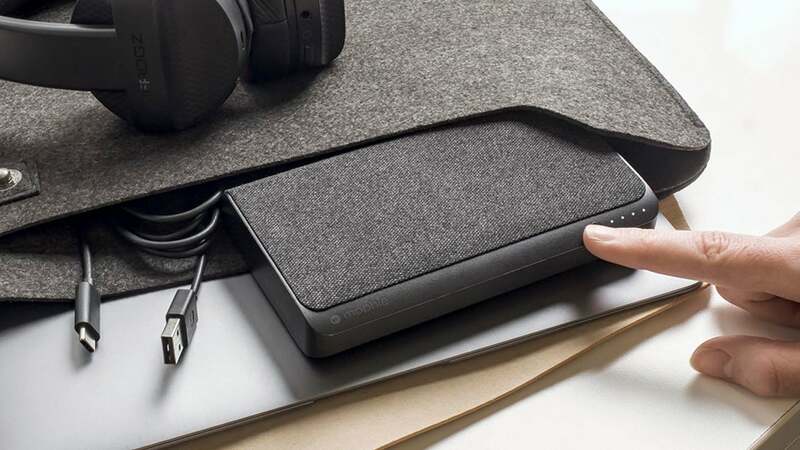 It’s hard to go wrong with an external hard drive and there are plenty of models available from the reputable names in the business, but always buy more storage than you think you’re going to need—it fills up fast. The WD My Passport SSD (from £110 for 256GB) will do the job and at ultra-fast SSD speeds too, while the Seagate Duet (£100 for 1TB) is a decent option for Amazon fans, as it automatically syncs with Amazon Drive. While hotels will often have adapters you can use, it often pays to bring your own with you, and you might even throw a small power strip into your bag too, if it’ll fit—that means you can charge up several devices from one plug socket and adapter, as long as you’re careful not to overload it (this shouldn’t really be an issue with portable gadgets). You’ve got a whole host of buying options here, so take your time in picking a solid and well-reviewed adapter or two. Some adapters, like the Turata Universal Travel Adapter (£26, currently discounted to £13.60) or the BEZ Worldwide Travel Adapter (£18), will work with multiple types of sockets and offer USB ports as well as a mains connection. A good set of over-ear headphones or in-ear earbuds are a good bet for shutting out the clamour of the outside world and focusing on whatever it is you’re trying to get done, whether you want to listen to your favourite tracks or put on some soothing background audio. Having your tunes pumping out in a library or coffee shop isn’t really an option. 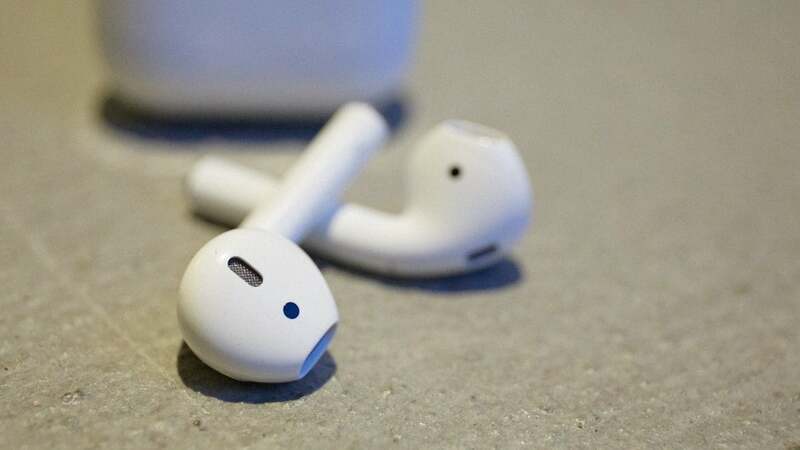 But if you do want to spend money and go wireless than Apple’s iconic AirPods (£159) come with an integrated microphone and can pair with Mac and Windows laptops as well as iPhones. At the other end of the size scale we’ve recently been impressed by the Sony WH-1000XM2 headphones (£330).